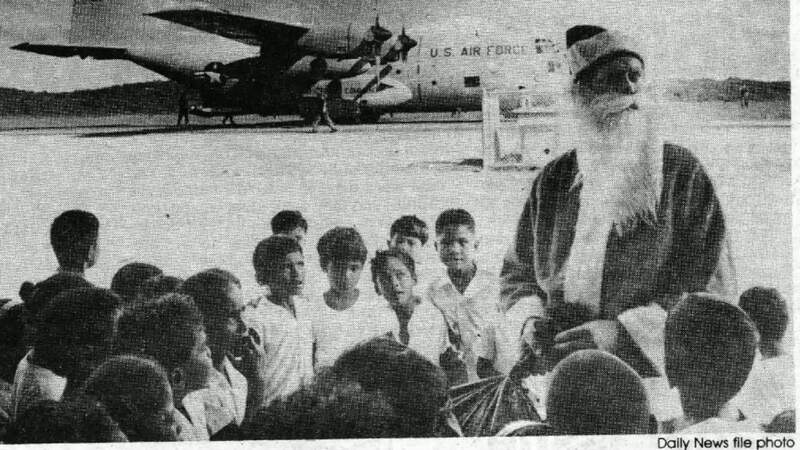 Operation Christmas Drop is the Department of Defense’s longest-running humanitarian airlift operation. 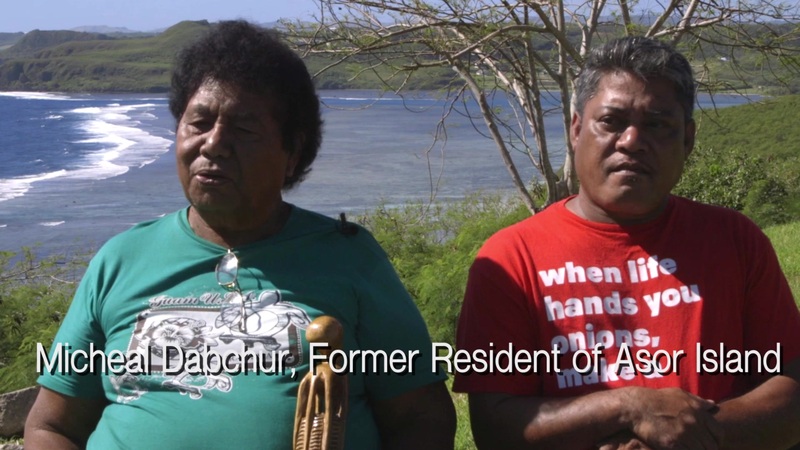 The tradition began during the Christmas season in 1952 when a B-29 Superfortress aircrew saw islanders waving at them from the island of Kapingamarangi, 3,500 miles southwest of Hawaii. In the spirit of Christmas the aircrew dropped a bundle of supplies attached to a parachute to the islanders below, giving the operation its name. 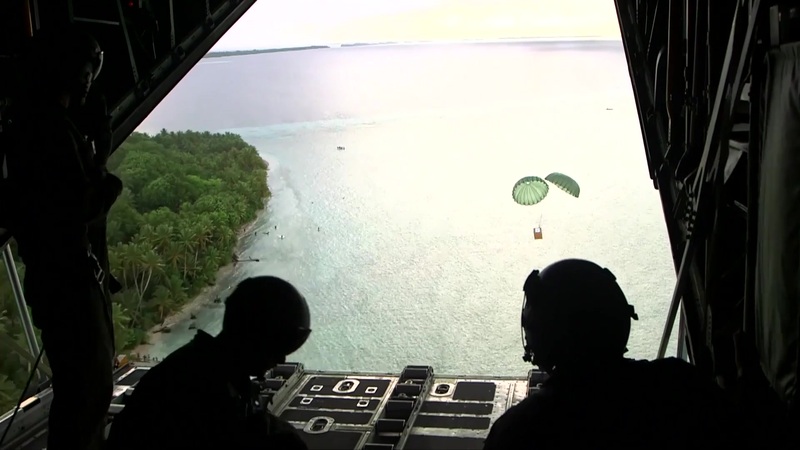 Today, air drop operations include more than 50 islands throughout the Pacific. Operation Christmas Drop is a PACAF event which includes a partnership between the 374th Airlift Wing, Yokota Air Base, Japan; the 36th Wing, Andersen Air Force Base, Guam; 734th Air Mobility Squadron, Andersen AFB of the 515th Air Mobility Operations Wing, Joint Base Pearl Harbor-Hickam, Hawaii; the University of Guam; and the 'Operation Christmas Drop' private organization which leads the fundraising and donations for the operation. 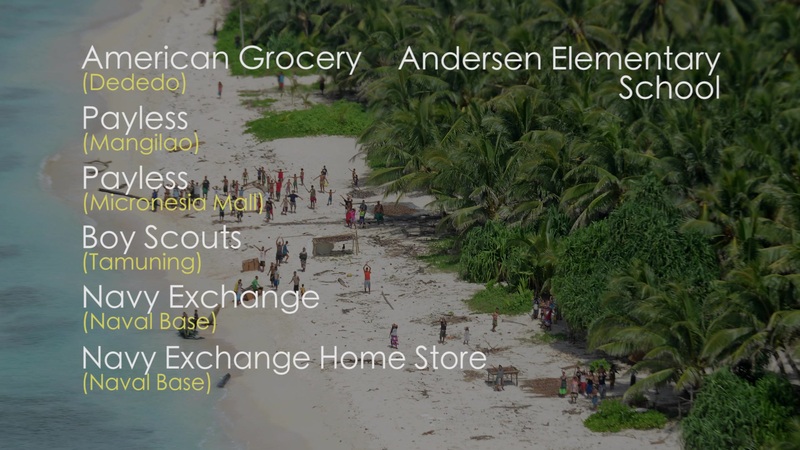 Andersen is used as a "base camp" to airlift the donated goods to islanders throughout Micronesia. Utilizing the Denton Program, which allows private U.S. citizens and organizations to use space available on U.S. military cargo planes to transport humanitarian goods to countries in need, the C-130J Super Hercules crews airdrop food, supplies, educational materials, and toys to islanders throughout the Commonwealth of the Northern Marianas, Federated States of Micronesia, and Republic of Palau. These islands are some of the most remote locations on the globe spanning a distance nearly as broad as the continental US. Months leading up the drop dates volunteers create donation drop-off boxes and raise money from local businesses and citizens. A week before the drop, volunteer Airmen, Soldiers, Sailors, Marines, civilians, contractors and families assist in picking up and sorting the donations. After the goods are sorted, riggers from Yokota and Andersen volunteers build dozens of boxes to hold the materials, most containing school supplies, clothing, rice, fishing equipment and toys. Each year, the Christmas drops serve as a proving ground for the techniques used and shared with regional partners in preparation for response to natural disasters all too common across this region. Air crews are linked to the village via ham radio as they fly overhead and drop supplies. 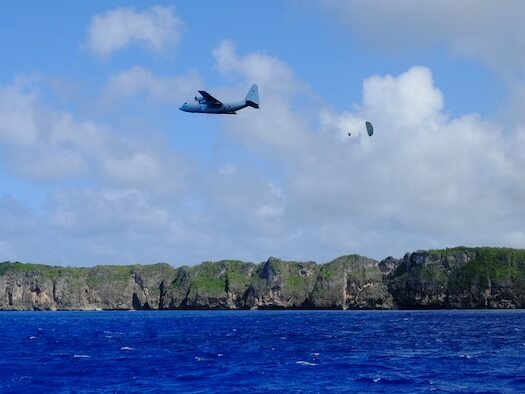 The event provides readiness training to participating aircrew, allowing them to gain experience in conducting airdrops while providing critical supplies to 56 Micronesian islands impacting about 20,000 people; ultimately it's a profound win for everyone involved. 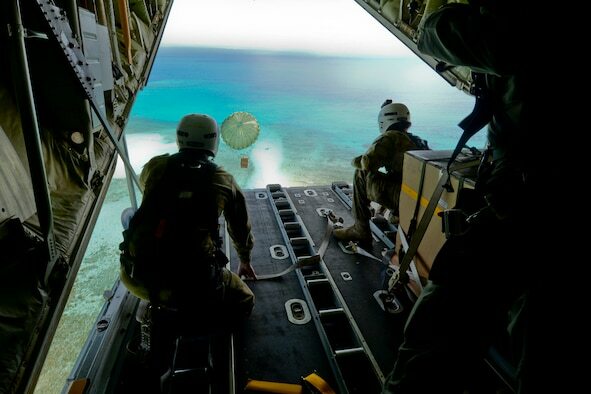 Low Coast Low Altitude (LCLA) airdrop is incredibly cost-efficient and easy to apply across the global airlift community, utilizing readily available resources and repurposed personnel parachutes to build supply pallets at a fraction of the cost of other airdrop bundles. These pallets are dropped at low altitude to improve drop accuracy. Demonstrating and executing LCLA drops alongside regional allies is just one example of the USAF actively pursuing and participating in interoperability partner training to increase Humanitarian Assistance/Disaster Relief operational capabilities while ensuring stability in the Indo-Asia Pacific region. The capabilities employed during OCD are a unique method of delivery suited to the region. 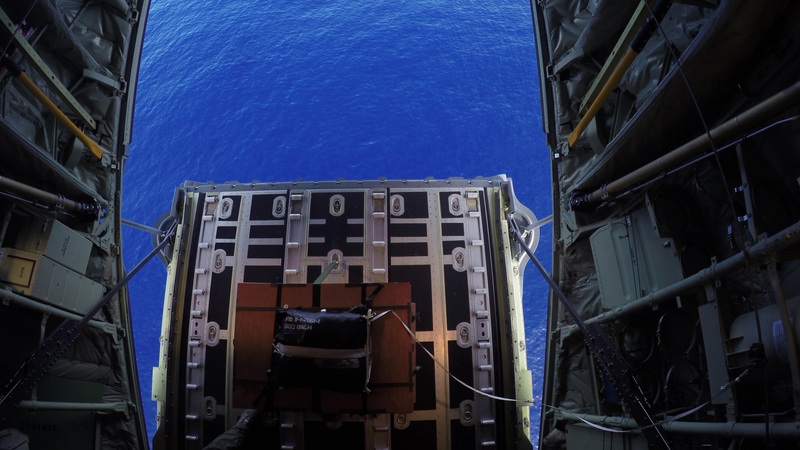 Coast Humanitarian Air Drop (CHAD) takes the LCLA capability to the types of environments seen in many places throughout the Pacific. Together, CHAD and LCLA represent a unique Humanitarian Aid/Disaster Response or wartime capability that enables the USAF and allied nations to rapidly respond anywhere in the Indo-Asia Pacific region. Getting into the spirit of the holidays, with smiles on their faces and Santa hats on their heads, hundreds of volunteers gathered to fill nearly 140 supply bundles for the start of the 66th Operation Christmas Drop, Dec. 9, 2017, at Andersen Air Force Base, Guam. 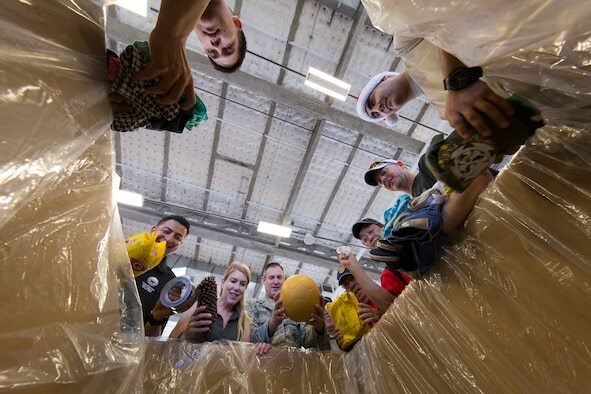 The men and women from Team Andersen and Yokota Air Base, Japan, dropped its last bundle of joy Dec. Donations can be dropped off in the collection boxes located at the establishments listed below.